Sally is passionate about partnering people into possibility. She brings to her coaching an inherent understanding of and insight into people, informed by 22 years of psychology background and practice. She holds an Advanced Diploma in Business and Life Coaching (The Coaching Centre, Cape Town) and a Masters Degree in Clinical Psychology (Univ. Natal). She practices as an executive/life coach and psychotherapist as well as facilitating groups or providing coaching in organizational contexts. Sally works with clients who seek the ‘forward edge’ – the point of breaking through to a new and unknown way of thinking and behaving. Complemented by her psychological expertise, she works at a deeper level, fostering powerful insights and new ways of ‘seeing’ which enable transformation. Her coaching is informed by an integral framework of experiential learning, systems theory, developmental theory, and emotional intelligence. This promotes a full understanding of self, others and systems, ensuring sustainable change for her clients. She is an accredited assessor and ESCI practitioner accredited by the Hay Group International. Sally is a member of the Review Team at the Coaching Centre, which provides mentoring and learning to the students currently doing the Coaching Diploma. 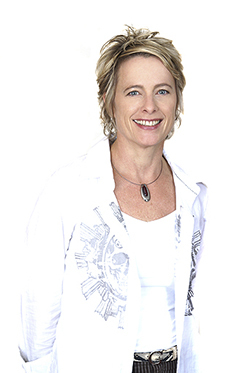 As a coach, Sally is a registered member of COMENSA (Coaches and Mentors of South Africa), and a member of the Supervision Portfolio Committee, establishing standards for coaching in South Africa. She registered as a clinical psychologist with the Health Professions Council of South Africa.